While it may seem like a contradiction in terms, technology can help business personalize the recruitment process. Recent research shows candidates want a tech-driven job search, but with a personalized approach. With a wealth of tools at their disposal, HR can deliver the candidate experience job seekers desire – with a personal touch. Recruitment technology has never been more varied. There are solutions for almost every step of the hiring process, and savvy companies are using them to optimize candidate experience and prospects for hiring. It starts with understanding what applicants want and delivering on expectations. The best candidate experience values talent and makes the process as easy and seamless as possible. 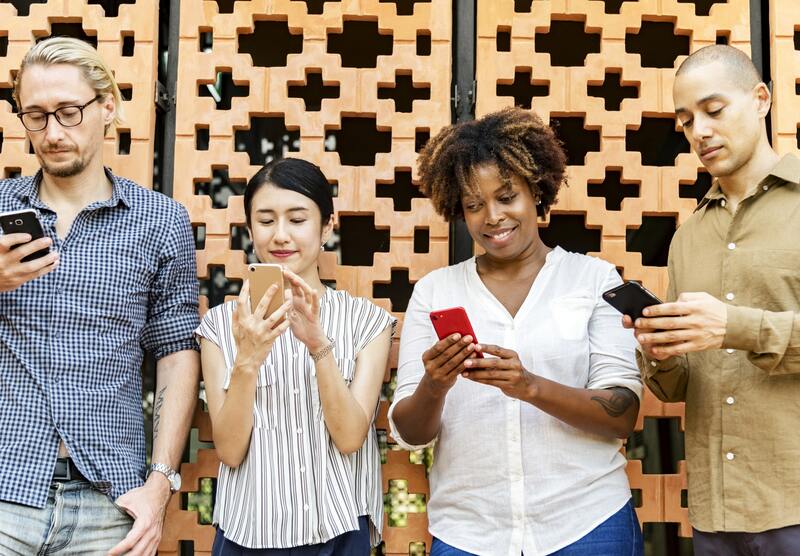 Leveraging available tech moves the process along quickly and effectively, freeing HR from the menial tasks and allowing them time to make personalized connections. Algorithms make it easy to screen for candidates that meet your needs, but converting them to potential hires is more challenging. Invitations via career platforms are as easily deleted as read when they appear to be standardized. Dig a little deeper when it comes time for contact. “We’re interested in your skills and background” sounds canned: “your experience at XYZ Company” personalizes the contact to show you’ve actually read through their qualifications before hitting the send button. If you’re using a scheduling platform to get candidates on the calendar asap (and if not, why not?) you’re moving them along the process quickly, another plus for job seekers. But while the platform may thank them for scheduling, take it a step further. Make sure it notifies you when an appointment is booked and send another email, thanking them and again, referring to something individual you’re looking forward to discussing. Anything that reads “I see you as an individual” helps personalize the experience. While tech is important, candidates still want to connect with a live person. One study revealed 36% of job seekers expect to speak with a recruiter before they apply. Can’t schedule a face to face? Web chats are an option, even for initial prescreens. Rather than a list of pre-interview questions, one-on-ones make for a more personalized experience. Mobile-optimized application pages let candidates apply seamlessly. One survey revealed 43% of job seekers want an efficient, simple online job application process. Personalizing the process works even better: make sure your tech notifies you when an application is received so you can connect immediately with the candidate. The easiest way to lose a promising candidate is to go dark: constant communication is key. A clear timeline for the entire hiring process was important to 82% of job seekers in a recent poll. Make sure you let the applicant know what to expect, when they can expect to hear from you, and stick with it. Offering advice is another opportunity to personalize the process. More than half of job seekers want a company to set out clear expectations so they could prepare well for the interview process. Another 58% said they want a company communicating clearly and regularly with them during the hiring process. Job seekers want to know how many interviews will be needed, who the interviews will be with, and how long the process should take, including reference and background checks. And for those who aren’t selected, 51% said feedback on why they weren’t successful would be appreciated. For a quick turnaround hire, constant communication is easy. For a lengthier process, recruiters and hiring managers need to schedule time to check in with candidates (another way tech can help - reminders) to let them know they’re still top contenders. A quick text or phone call, letting them know you’re still interested, can make a win in the war on talent. Data shows personalization works when competing for top candidates: 68% of employees polled believed their experience during the hiring and onboarding process reflected how a company treats its employees. Recruiters are in a unique position with candidates: they have a chance to connect for a single position, or cultivate a relationship that opens the door for other opportunities available at the company, today or in the future. By leveraging technology to take on mundane tasks, recruiters can focus on the important work - relationship-building. With talent shortages so acute across almost every industry, those connections could be invaluable. Contact ConveyIQ to find out how to create an impeccable candidate experience that nets you hires.